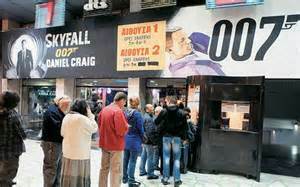 For forty years a cinema in Athens called The Athinaion has advertised its film of the week with an original hand-painted poster. They were all the work of Vasilis Dimitrio,and he created thousands of screen legends with his own flair of originality. 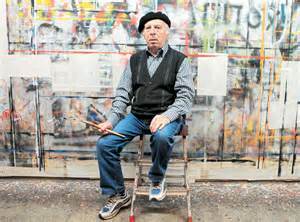 Now Mr Dimitrio’s right hand is too stiff to use the brushes, forcing him to retire. So far he has no successor. Because they change and adapt, it’s rare for art-forms to become extinct. In human culture they call it old-fashioned. 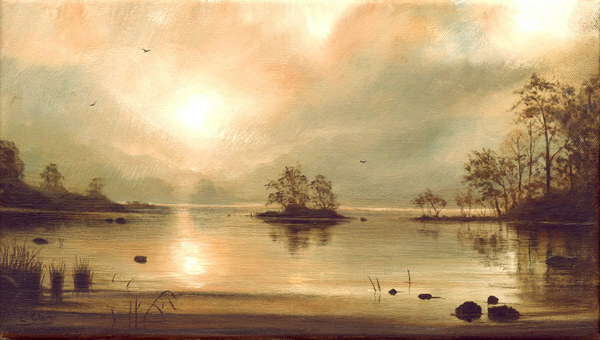 The landscape artists Eileen Clark has painted this image of Rydal Water, evoking Tennyson’s home of coot and heron. 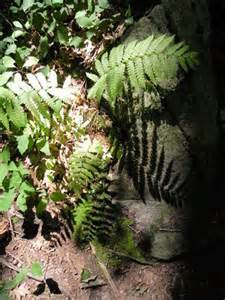 Tennyson’s fern is not the only plant in shady wet places. 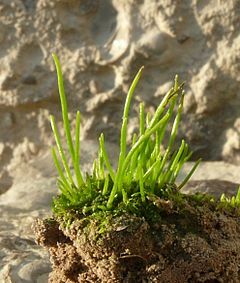 Another is the moss-like hornwort or Anthoceros. They can grow in the shadiest places because they have a very sensitive photo-receptor system involving a protein called neochrome, controlled by a single gene. This week, an on-line paper in Proc. Nat. Ac. Ad. Sci. by Fay-Wei Lia et al shows the same neochrome gene in hornworts and ferns. 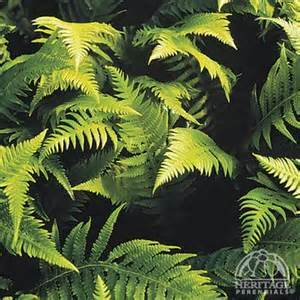 It means plant-to-plant gene transfer took place when ferns diversified during the Cretaceous, well in time for the angiosperm radiations 60 million years ago. This is what we call Genetic Engineering, moving genes from one species to another. Nature turns out to be its own genetic engineer. How many times did genes move from one species of plant to another millions of years ago? 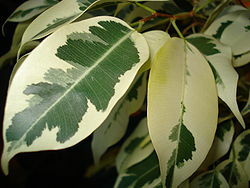 The search is on for other early plants with the neochrome gene. 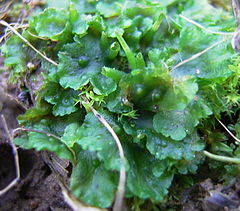 One candidate may be an extinct plant called Horneophyton which lived 400 million years ago. 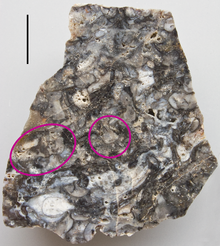 It’s found in chunks of Rhynie chert from Scotland. Here’s another question raised by the latest work. 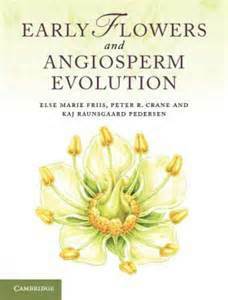 Could Genetic Engineering have played some part in the mysterious origin of the angiosperms? 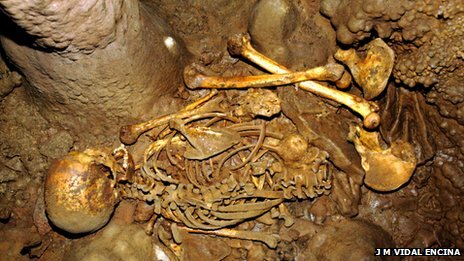 A grave has been found near Leon in Spain containing a 7,000 years old Neolithic human skeleton. By some amazing good luck some of the bones contain DNA , and this shows the genes associated with the immunity and diet needed for a shift from hunting to agriculture. But there’s little data from other earlier hunter-gatherers to be sure of what changes took place at the transition from hunting animals to growing crops. 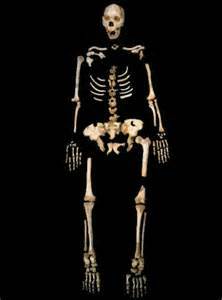 Nevertheless, these 7,000 year old Spanish fossils give a complete pre-agricultural European human genome. Analysis of this genome in the context of other ancient samples suggests the existence of a common ancient genomic signature across western and central Eurasia from the Upper Paleolithic to the Mesolithic. DNA from the Spanish fossils have several skin pigmentation genes, suggesting that the light skin of modern Europeans was not established. 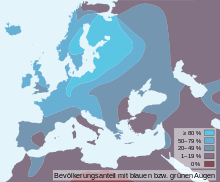 But the same pathogen resistance found in modern Europeans was already present in this hunter-gatherer. “In Estonia, 99% of people have blue eyes,” says Hans Eiberg from the Department of Cellular and Molecular Medicine at Copenhagen. 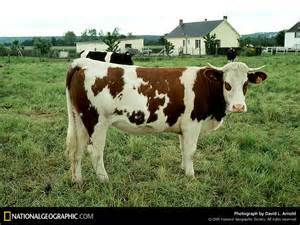 They are also common around the Baltic Sea, in Germany and Israel. 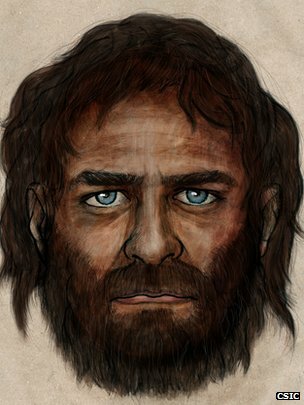 DNA studies of Bronze and Iron age fossils in the Siberian Krasnoyarsk region also show melanin deficiency, which means they must have had blue eyes. There was this same deficiency in the Leon specimens from Spain, the 7,000 year old hunter-getherers, who also had brown skin and dark hair. That hair’s another story. Three big ideas went to the wall last week, good examples of how science works by trying to disprove theories. 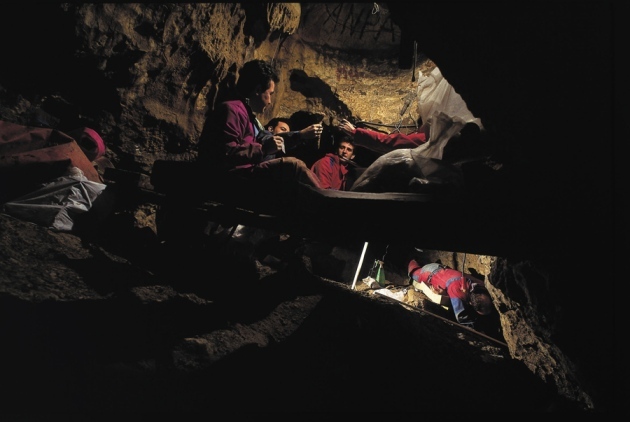 One involved the analysis of DNA in the 400,000 year old femur of a fossil human from a cave in Spain. That in itself was a surprise: that such old DNA retains its chemical identity. 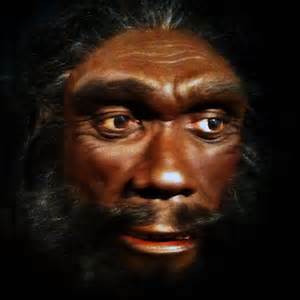 The theory was that Neanderthal Man was there in Spain then, but the DNA turned out to be more like that from a different population of early humans, Denisovan Man only known in Siberia. 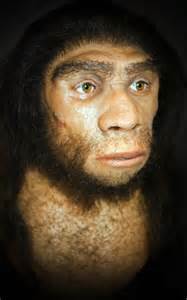 The theory was based on evidence from bone structure (which was also the source of these unreliable facial reconstructions) while the DNA evidence was very detailed and measurable. 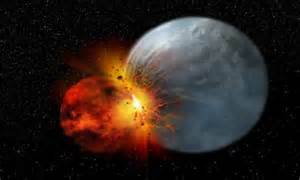 The second falsification concerned the Moon, and the theory from the 1980s that some planet-sized object hit the very early Earth. 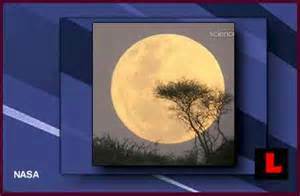 Although the object was thought to have passed on, a ring of debris from the crash coalesced into the Moon. 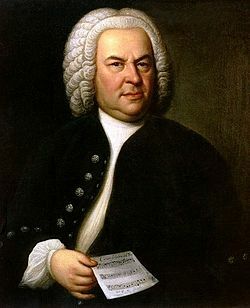 Thirdly, John Eliot Gardiner, musicologist, conductor and author of Bach: Music in the Castle of Heaven, has dispelled the idea that JS Bach was a conforming man of uneventful routine. This reputation came from the regularity of his frequent church compositions and from the lack of evidence about the other parts of his life. Gardiner has got to know Bach as well as anyone over the last three hundred years, especially on the 300th birthday pilgrimage to play most of the choral works across Europe and elsewhere. In his new book, Gardiner presents evidence that Bach was a “natural dissident” who had a congenital problem with authority. Why else would he have hit on the brilliant idea that the soprano performer of the motet “Furchte Dich Nicht” should enter by standing up in the gallery, hidden from the orchestra and congregation? 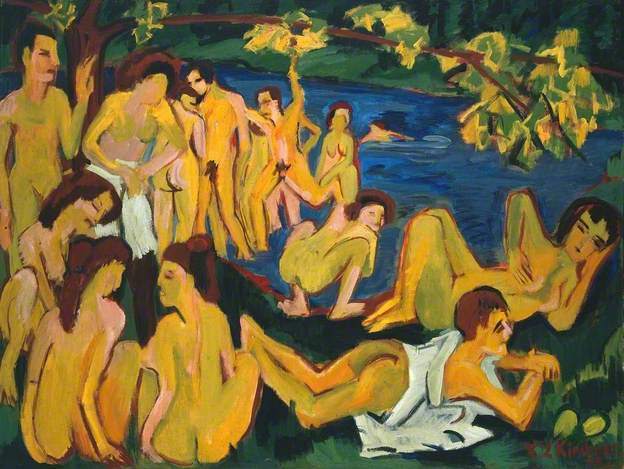 Last week it was revealed that scores of Modernist paintings, hidden from the Nazis in the 1930s, have turned up in Munich. 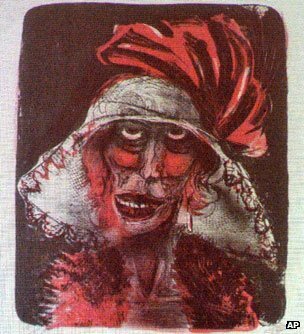 The Nazis thought they were examples of Degenerate Art, comparable to barnacles, human imbeciles and other organisms more universally thought to come about when evolution went wrong, or maybe backwards. 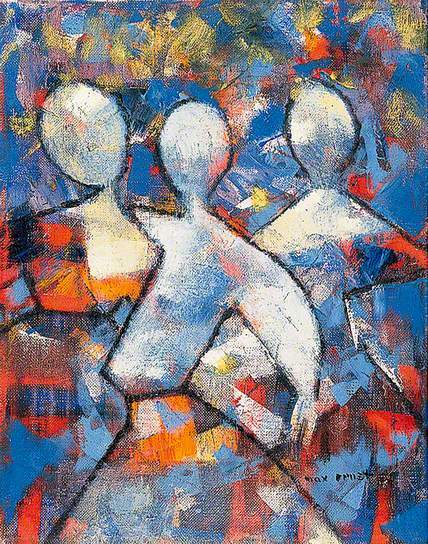 The art that the Nazis hated was impressionistic or abstract, not self-explanatory and needed pretentious instructions to be understood. 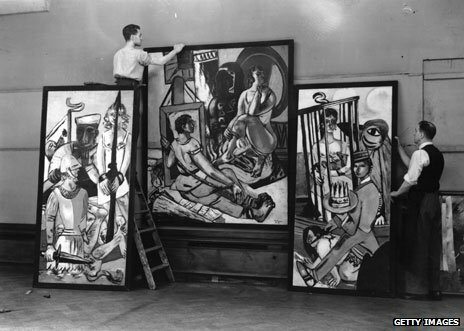 Max Beckmann 1884-1950 – and his triptych being hung in the safety of the New Burlington Galleries in 1938. 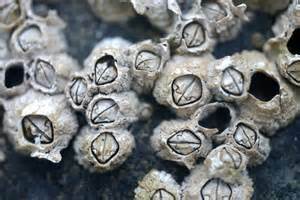 The word “degeneracy” came to the fore in the 1880s, when the marine biologists Ernst Haeckel and Ray Lankester described barnacles and other animals that had lost one or more of their highly developed functions or structures. 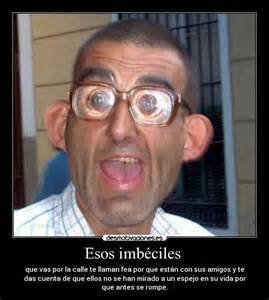 They suggested that such degeneration was a natural feature of evolution for some lineages. 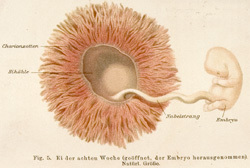 Features of the embryo were not required in that adult’s life-style. 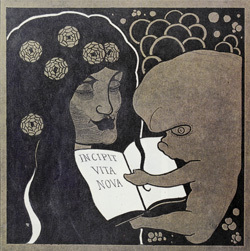 First it was Aubrey Beardsley (1872-1898) who depicted normal and monstrous foetuses as symbols of degeneration, creative failures. But the Nazis had no such ambiguity and for them such flexible interpretations were not available. 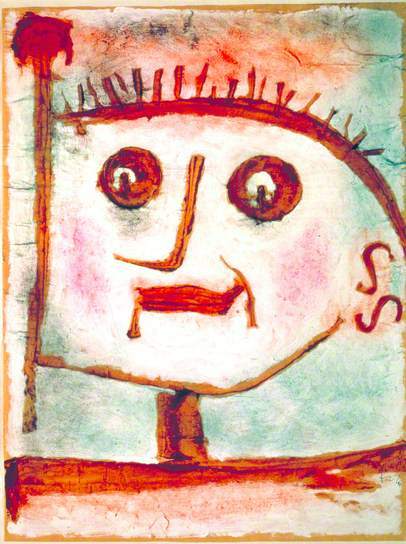 Anything Jewish and anything that showed signs of an individual’s own creativity was banned. Or else hidden …. until now. Recently, some geneticists suspect that it is common to find multiple genomes in the same individual, whether they be animals or plants. This stray DNA shows up as groups of cells with particular mutations that are absent from the rest of the body. Cells often mutate when they divide, moving parts of one chromosome to fix on another. Some of these have genomes that are shown to come from other people. So, for example, after a baby is born some foetal cells may remain in the mother’s body. 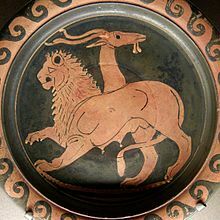 It means that most mothers are chimeras. 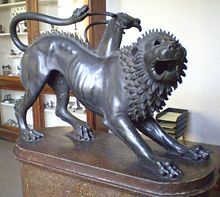 These creatures were depicted as Arezzo, an Etruscan bronze, and on the Apulian Plate in the Louvre. 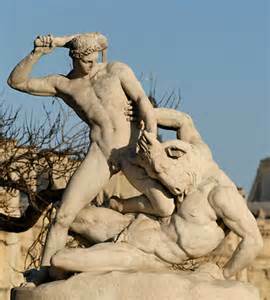 On the right, above, is Theseus the Minotaur. 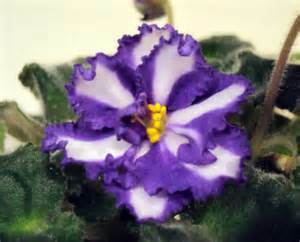 For many years, chimeras have been known in plants, occurring naturally and in horticulture from grafts and cuttings. Genes and whole chromosomes may be duplicated or removed. 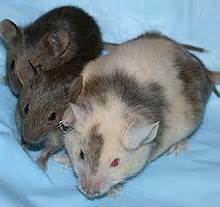 And they occur in mammals, such as some white mice with patches of back fur and maybe in cattle. The Dodo is an iconic image in the subject of extinction and human impact on the planet. 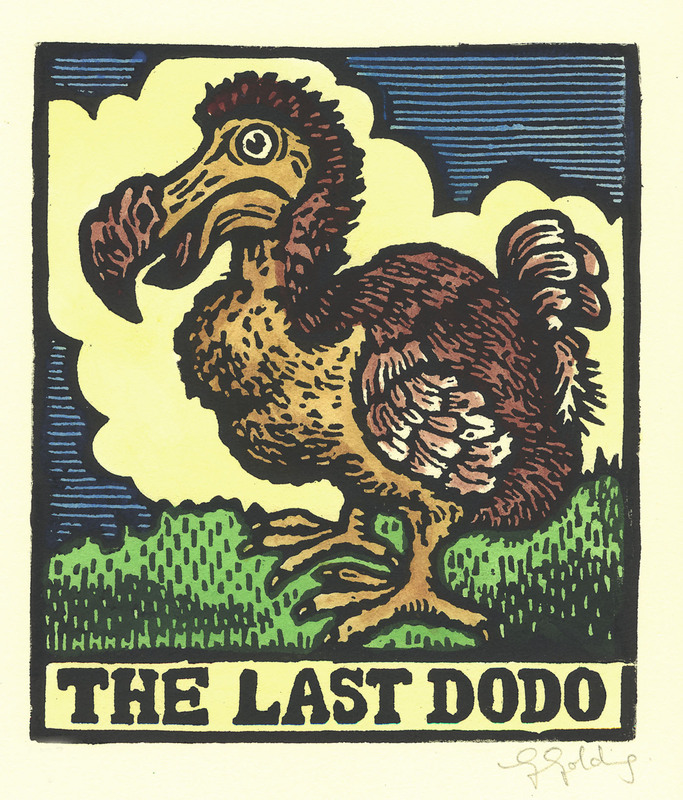 There must have been a last Dodo and this linocut was made as a memento mori for lost species. Images of now extinct animals hold a fascination for us, evidence of a world constantly in flux and which point to the uncertainty of our own future existence. 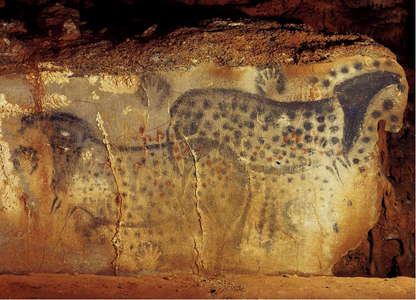 I have visited the the Grotte Pech Merle in south west France many times. 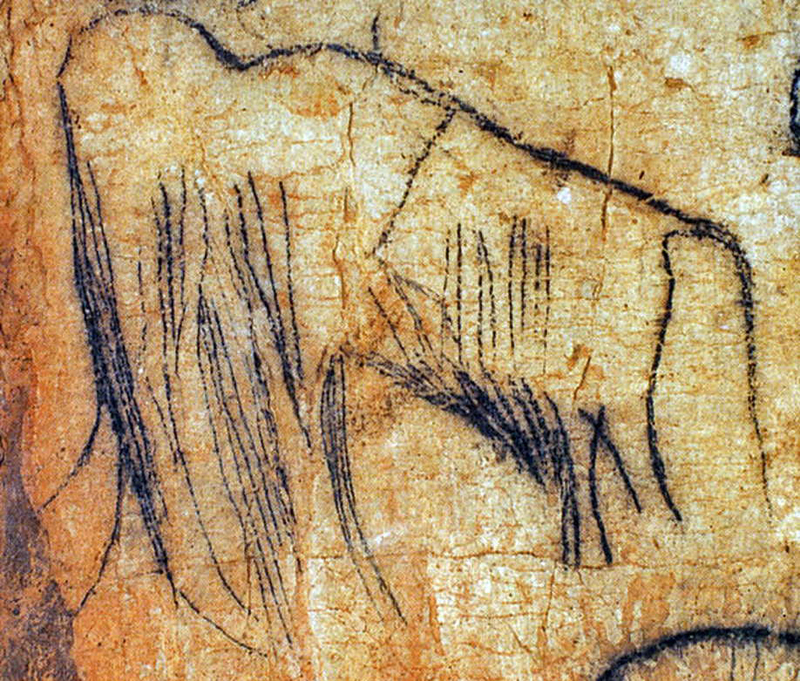 These caves have 25,000 year old drawings of Mammoths and spotted horses, species now extinct but were existent when our ancestors drew them. The extinction and evolution of species are inextricably linked. 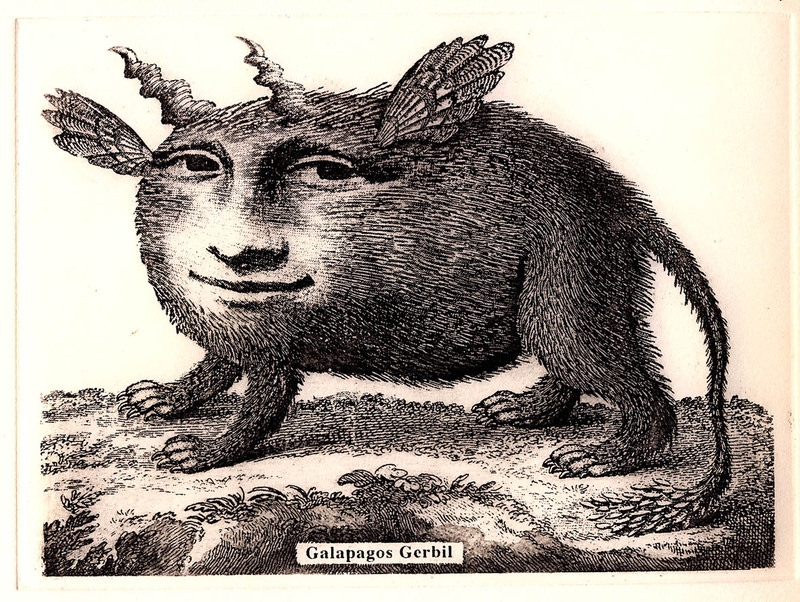 The subject is full of images of extraordinary creatures sometimes even more fantastical than the mythological beasts that artists have been depicting for centuries. 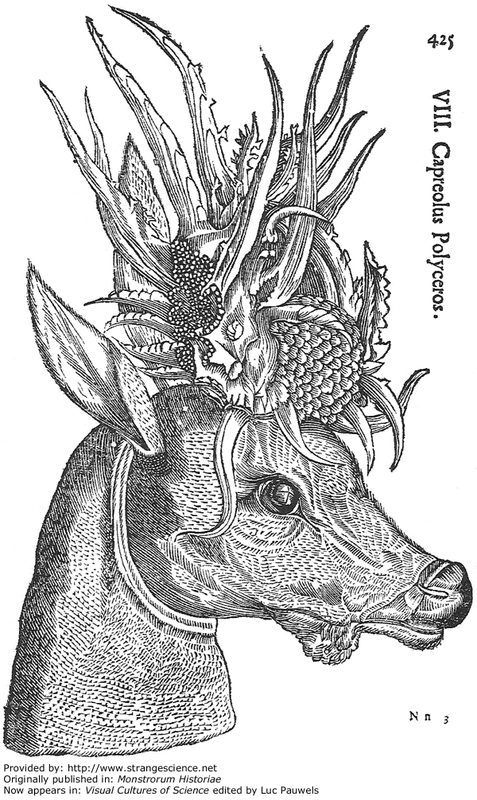 I made a series of etchings inspired by artists first attempts at drawing newly discovered species…. 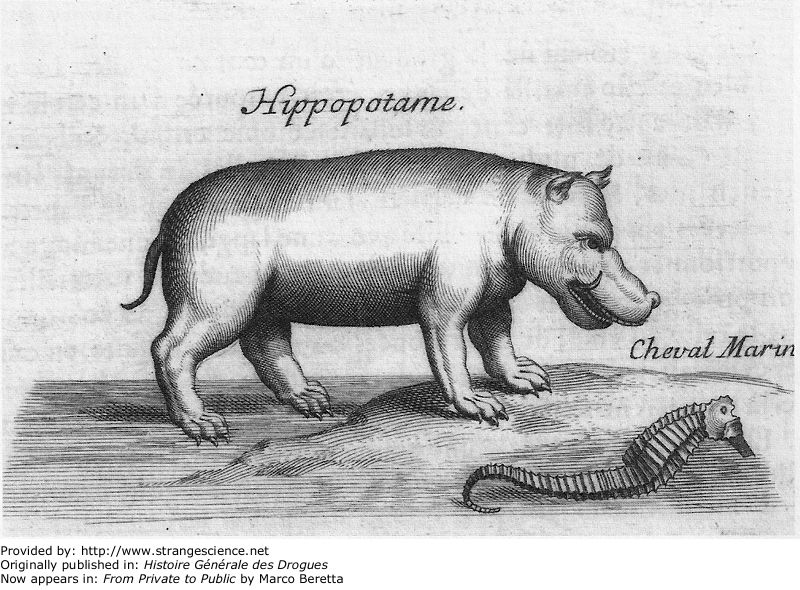 Often these first ‘scientific’ drawings relied on second hand descriptions of animals with the result that the images were more the product of the artist’s imagination than any kind of reality. A few years ago some friends visited the Galapagos Islands and came back with wonderful photographs of their experience. 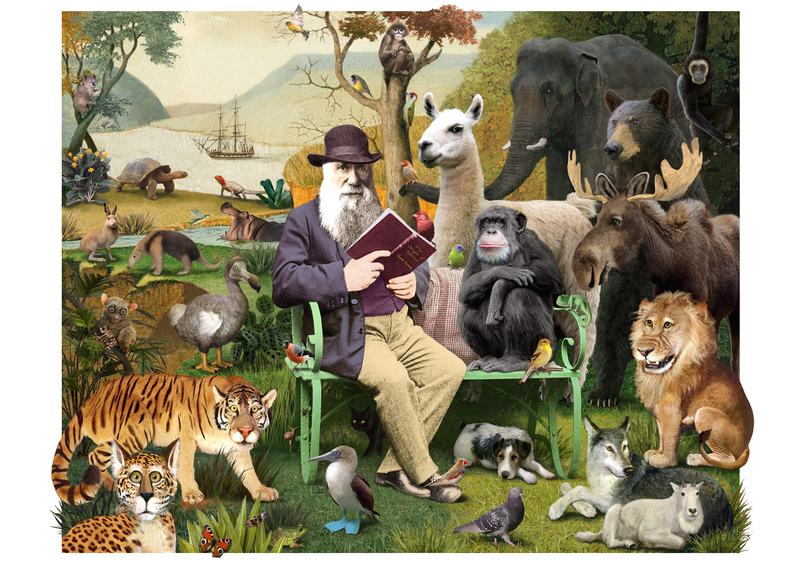 This coincided with the 200 anniversary of Darwin’s birth and served as the inspiration for the print ‘Darwin’s Garden’. 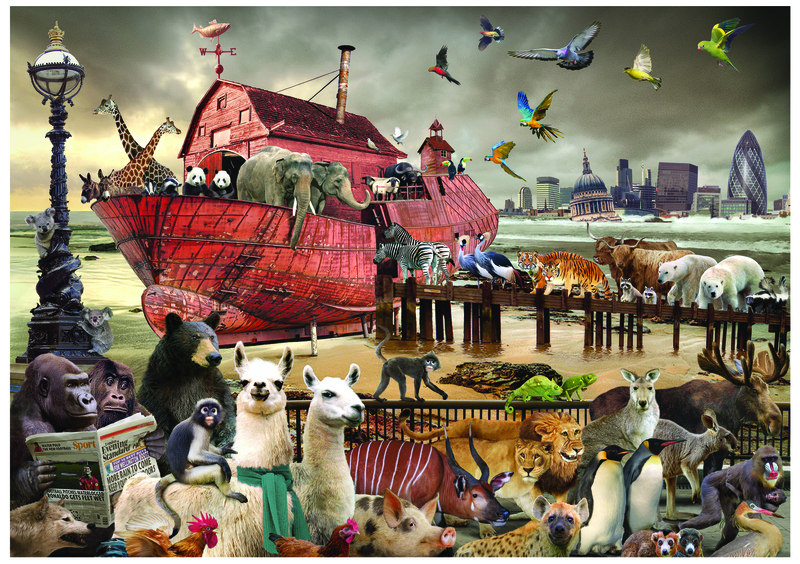 Following on from this print I made ‘Ark on the South Bank’ an imagined future scenario of global warming and rising sea levels.